Tuesday Tips – Is it safe to buy Jewelry online? Have you been thinking about buying jewelry online and aren’t sure about it? That’s ok, you are not alone. Purchasing jewelry online can be a nerve-wracking experience, especially if the piece you are considering purchasing, is over $1000. How do you know if the jewelry you are buying online is of quality, clarity if you are purchasing a diamond, or even real? And when we’re talking about Diamonds, we’re talking about a huge chunk of change! Here are some FAQ’s about us to make you a feel more comfortable purchasing from us! How long have you been in business? – Thousands of customers have trusted Jewelry Warehouse since 1969 and here’s why: We’ve earned an A+ rating with the Better Business Bureau (BBB), a testament to our customers’ satisfaction, trust and confidence. We have four stores in Columbia , S.C.
Do you have a secure website? – Our site processes all sensitive data keyed into a browser via a “secure socket layer” or SSL, which is the industry standard for encrypting transmitted data. Your information is stored behind a second firewall on a separate server dedicated to that purpose. Once through the firewall, the data is further protected by security protocols requiring a Login ID and Password to access. Security is a top priority with us and we will do our utmost to insure the security and privacy of your data. You may notice that when you are looking at product information, it is not secured. This is typical of most sites. However, once you begin the checkout process which includes providing your personal information, that is secure. More information about Returns is located here on our website. Do you ship internationally? – International shipping is currently available WORLDWIDE from Jewelry Warehouse. Our third party vendor, International Checkout, will ship to all destinations around the world. 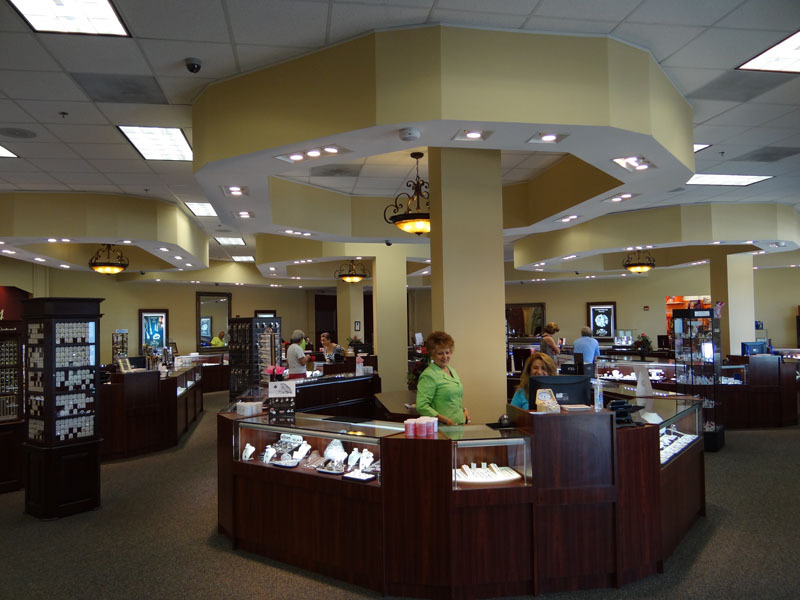 Our West Columbia Location – 2909 Platt Springs Rd. Do you have a real store? Yes, we have 4 locations in Columbia, SC – Harbison, Lexington, West Columbia, and Northeast. I’m not sure about online ordering, can I call in my order with you? – That’s okay. Just call our Customer Service Center at 1-800-537-5072 to place your order over the phone with one of our customer service representatives. Here are more Frequently Asked Questions and Customer Service information about us! This entry was posted in Jewelry, Jewelry Tips and tagged is it safe to buy online, jewelry warehouse, purchasing jewelry online, store locations. Bookmark the permalink.